Fill out the form to download our complementary whitepaper. In heavily-regulated industries, such as financial services, health care, and insurance, “RegTech” is all the rage. Every major consulting firm has released a white paper on the subject. Over just the past two years, Google searches for the term have increased sevenfold. 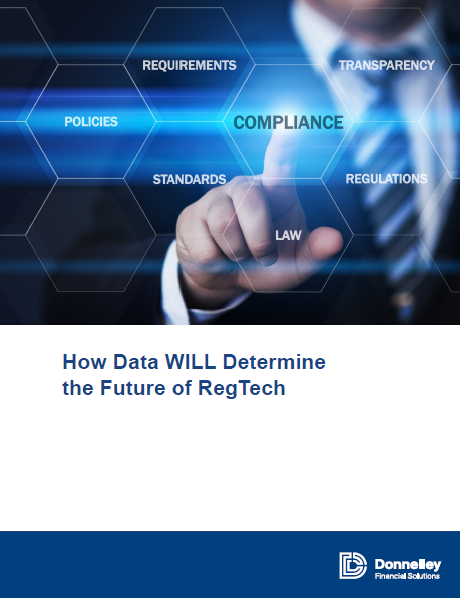 This whitepaper shows that RegTech solutions include new ways to 1) automate regulatory reporting, 2) derive insights from regulatory information, and 3) share information on complex markets and products.